Update: (10/14/2009):I went through some of my old purchases and checked the value computed from this tool versus the actual shipping charged to me. Turns out that the shipping cost is more than twice the value that comes out. One reason could be because of the packaging of the item, which usually includes the box and the other plastic used to wrap it in that adds to the weight of the final package. So as a rule of thumb, I guess it would be best to multiply this value by 2.5 for a more realistic guestimate of your shipping cost. Trying to determine how much your shipping is going to cost (more or less) when purchasing stuff online at a Japanese hobby stores doesn't have to lead to too much guess work from your end. Thanks in part to this online tool developed by the Japanese postal system. Its quite easy to use in fact. First you choose the type of item that will be sent. If its toys, hobby kits and other non flat items, you should choose "Parcel(package)". Then you input the total weight in grams of the items you are planning to purchase in the next part. Some stores don't bother to input in the product page the weight of the item but to circumvent this, you can always go to the other online stores that do place the weight of the package. HWJapan and Hobby Link Japan are great sources for this data. Next you have to input the prefecture or province where the package will be shipped from. Usually its the physical address of the online seller. For example: Hobby Link Japan is at Tochiji, HWJapan is at Shizuoka while Over Drive Inc and Hobby Search are in Tokyo. Lastly of course is you have to select the country or destination where the package will be shipped to. This means of course your home country. Hit the "Next" Button and viola!, you get the shipping cost for EMS, Economy Airmail (SAL) and some other stuff. The price given to you by the online seller might vary also from this value depending on the additional transportation/handling and service charges incurred by them while shipping your package. 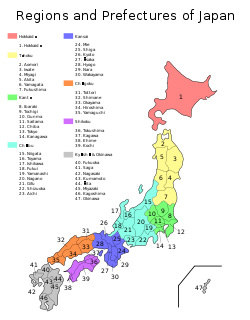 If you're really that cost conscious, you can also compute theoretically which shipping cost will be cheaper by using the prefecture that the online store is located at. But you can't really be sure of that till the seller sends you the bill. But at least you can check with this tool how much the additional costs incurred are compared to the base price of shipping. One other thing, the tool uses weight to determine the cost of the shipping. But in reality the post office will also factor in the size of the product being shipped. So once it goes above a specific dimension set for EMS and SAL, you will be charged a higher rate. Most importantly also is that you get to see in this page the estimated time of arrival of the package on your end. Most online sellers will ship packages to you via EMS, SAL International Parcel or SAL small package so that's the two that you should be looking at. Some also offer to ship it to you via DHL, UPS or FedEx, but if you do that, you can't use this tool to estimate the cost. Something to take note of when shipping packages is that sometimes it takes longer to reach you because of storms, natural calamities and of course, due to it being held at your country's customs bureau. Also shipment can slow down to a crawl due to the sheer volume packages being sent during the Christmas season. You can also track your package via this tool if the online store gives you the tracking number. If it was sent by EMS you can track all the way to your country. But if its by SAL, usually its only till the part that it has left Japan. To use this tool, just enter the tracking number at one of the Item Number boxes, then afterwards hit "Tracking Starts" button.